Arturia today announced availability of its new KeyLab 88 — its top-of-the-range, professional-grade, 88-note hammer-action hybrid MIDI keyboard controller that comes complete with Arturia’s acclaimed Analog Lab software synthesizer solution and more besides — as of February 24, 2015. Thanks to the top-quality, hammer-action Fatar keybed with aftertouch, professional keyboard players will feel right at home here. Clearly, KeyLab 88 is the ideal companion for demanding piano playing — all the more so since the first 3,000 units shipped come complete with two superb-sounding virtual instruments. In the first instance, Grand Piano Model D from fellow French developer UVI delivers the sought-after sound of the superlative Steinway Model D concert grand piano with all the warmth, expressiveness, and detail of the real thing, thanks to deep multi-sampling, precision mastering, and advanced scripting. 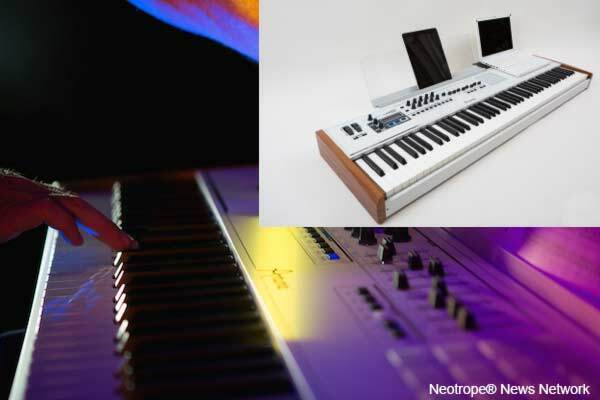 Secondly, Pianoteq 5 Stage is a physical modelling-based virtual instrument that provides acoustic and electric piano recreations as well as chromatic instruments. Indeed, KeyLab 88 represents a serious solution for today’s technology-savvy pianists — performance and practicality living in perfect harmony, you could say. But better still, KeyLab 88 comes complete with Arturia’s acclaimed Analog Lab, an abundantly powerful software synthesizer solution with 6,000-plus presets by internationally-renowned sound designers derived from Arturia’s award-winning range of Analog Classics. These include the TAE® (True Analog Emulation) synthesis-powered Mini V (MinimoogTM monosynth emulation), Wurlitzer V (virtually bringing back to life the well-known ‘Wurly’ electric piano), and much more… making for the perfect pairing: professional hybrid synthesizer. 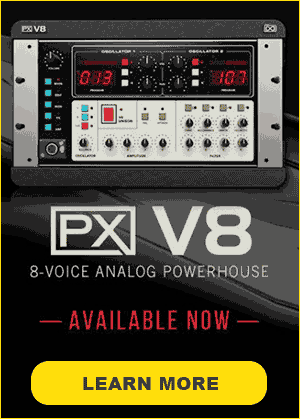 Similar to its smaller KeyLab siblings, KeyLab 88 offers the immediacy of a hardware synthesizer combined with the flexibility of a software-based solution. It is preassigned to work with Analog Lab from the get-go, giving users instant in-depth control over key sound parameters, such as filter cutoff, resonance, and adjusting envelopes, et cetera, courtesy of its supportive selection of knobs and sliders, 16 backlit pressure-sensitive pads, plus an informative LED screen.